This time I used printable magnetic foil and cut out pieces of size 2.5cm x 2.5 cm. It's cheap and fast to make the pieces, but it's hard to take them off from iron surfaces, because they are very thin. 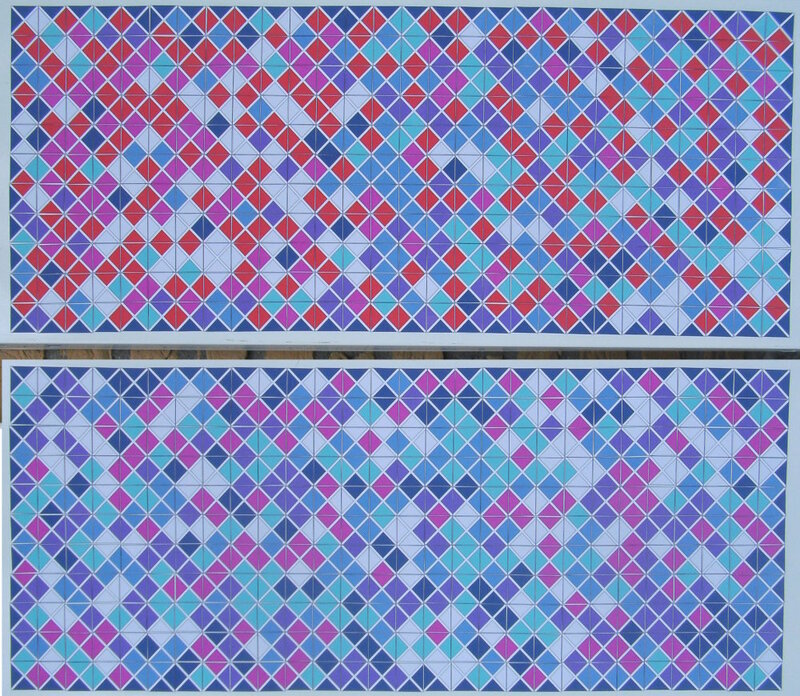 The pictures shows two 28x11 rectangles, which can be combined to get a 56x11 rectangle or a 28x22 one. 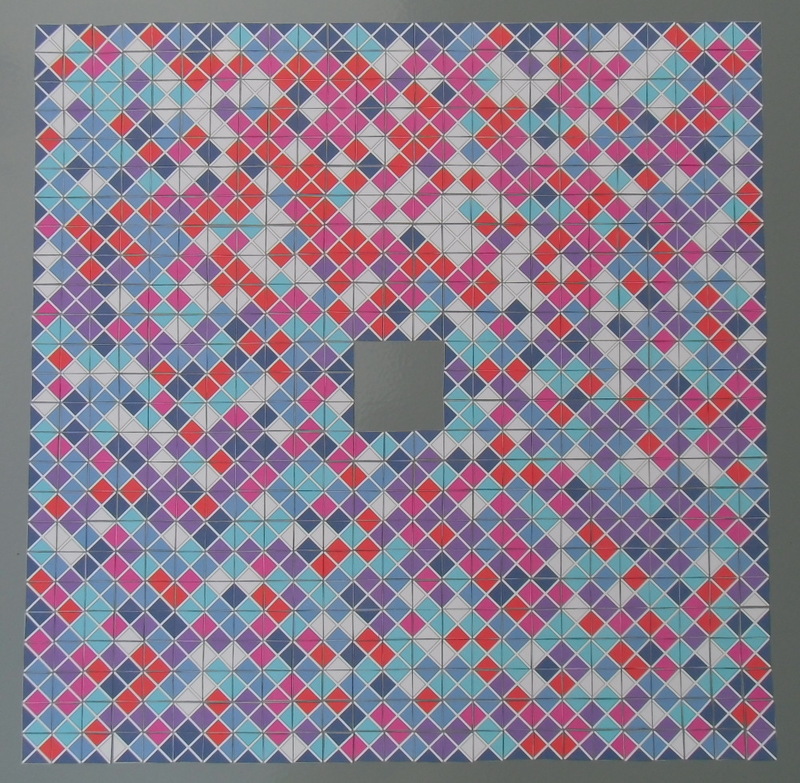 A square ring of size 20x20-8x8 on a iron board of size 75cm x 75cm.